Sign Language Interactions are committed to delivering excellent BSL/English interpreting services in Scotland. We are pleased to announce the following opportunities and positions. We are seeking experienced RMSLI, with an interest in working in Parliament and TV broadcasting. First Ministers Questions takes place at the Scottish Parliament each Thursday from 12-1pm, whilst Parliament is in session. Full training will be provided and you will work as part of the First Ministers Questions interpreting team on a rota basis. This new pilot service will commence in January 2019. Are you interested in working as part of an established team of BSL/Eng interpreters in Scotland. Since 2003, Sign Language Interactions has helped design, manage and supply face to face and online interpreting services across all sectors. We are looking for a senior interpreter who is passionate about interpreting and people. This position offers great opportunities and career development, as well as an excellent employment package. 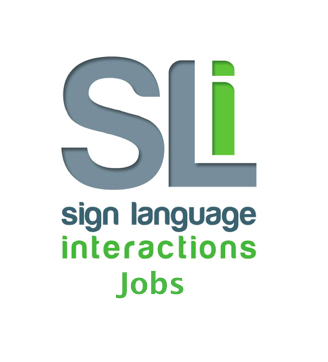 We are increasing further our in house team of BSL/Eng interpreters. This exciting opportunity will offer varied interpreting assignments, team working, continuing professional development, mentoring and supervision and being part of an organisation that has a vision and focus on people and improving access and communication between Deaf and hearing people. An excellent employment package is available.